Dispatch time as text snippet? 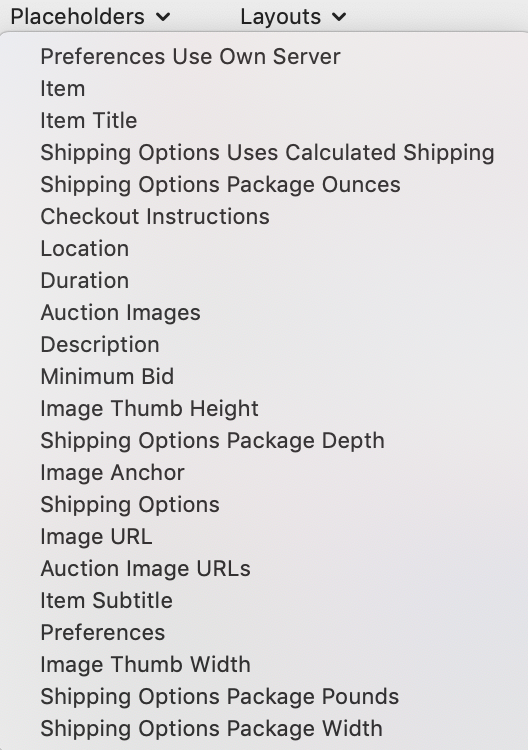 I’ve just been “reminded” by a third buyer in a month that the dispatch time for orders is no longer displayed by eBay in the Shipping tab of my listings. Apparently eBay has hidden it by only presenting “Estimated Delivery”. I’d like to explicitly display the handling time (dispatch time) in my listings to avoid these annoying “reminders”, but I’d also like to leave room to change the value in future. Is there a getter function for the dispatch time that I can use in the body.html of an edited template (using the Design Utility or by directly editing the HTML file)? Just to be absolutely sure I need to customize a template, this sort of thing can’t be done inside my item description, can it? No magical <div class="no-really-render-this-like-it-was-a-template">[[item.dispatchTimeMax]]</div>, that I can just put into the description itself? You can just put it into the item description (Editor mode). If you do so it’s recommended to select “Don’t convert” from the “Description Conversion” menu. Is there documentation available for the available placeholders? Not all placeholders including the [[item.dispatchTimeMax]] placeholder are officially supported and designed for use in design templates or item description. That’s why you don’t find them in the placeholder list in the Design Utility.